to all of you fabulous and sweet sweet readers! This pregnant girl is feeling large and in charge these days (and reeeally swollen!) so all of your oh so sweet and kind words yesterday totally made my day. You have no idea! Now lemme share a few things I am loving on this lovely Wednesday! First, I am loving that the nursery is done! Well minus a picture and some flowers here and there...but she is done and ready!! I am reeeeeeeeeeeeeally loving my new ride!Seriously, I love this thing. It is sad how excited I am about driving to work in the morning...just so I can drive it! HA! 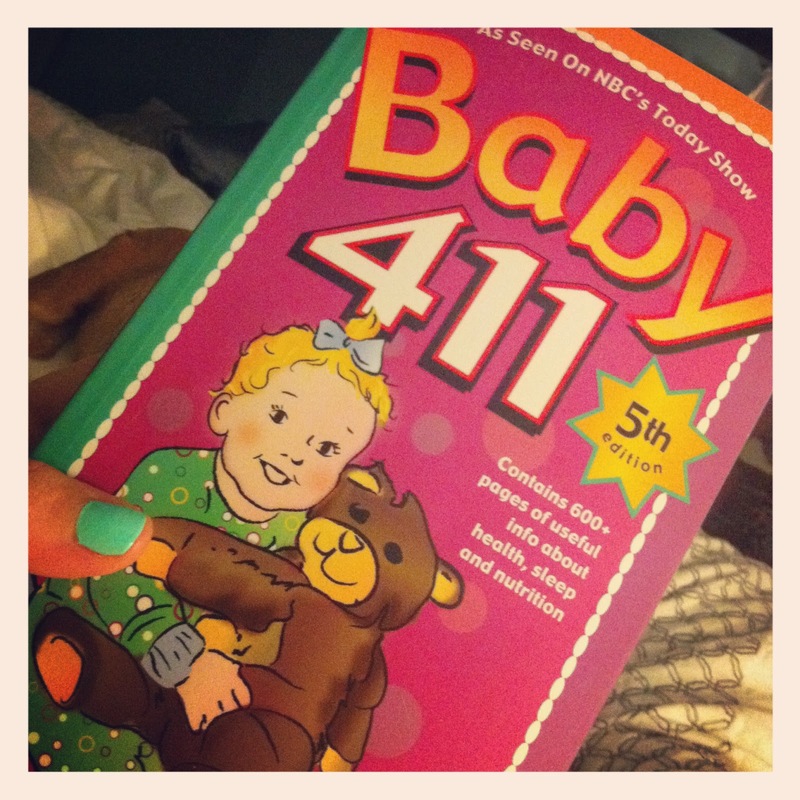 I am loving this book/baby how-to, ha! For any of you expecting mommas, this is a fabulous guide for Baby's first year. All you need to know without all kinds of craziness to confuse you or worry you. I have a feeling we will be referencing this sucker quite a bit! 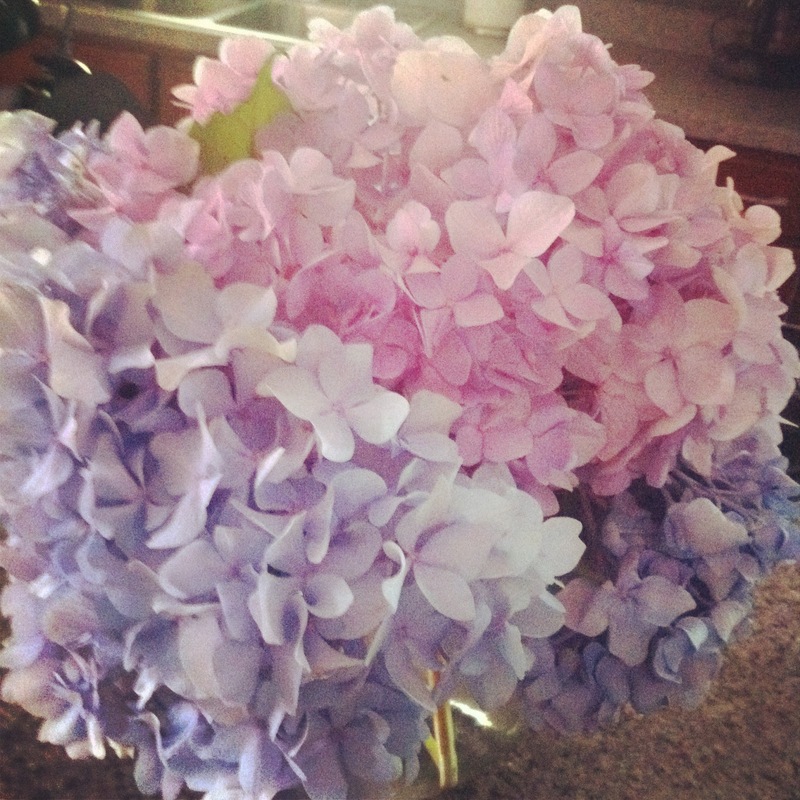 I am loving the hydrangeas in my house thanks to my BFF! 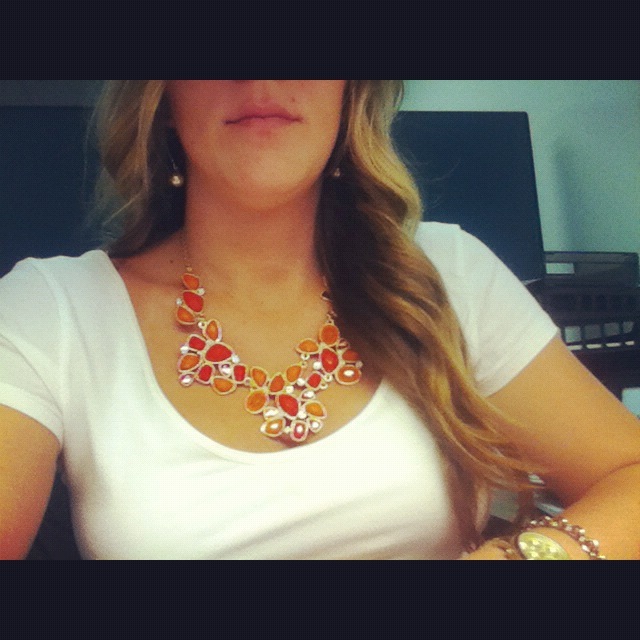 I am loving this necklace that I wore the other day. I got it from my other BFF's store in Jackson, MS and I adooooore it! I got several compliments on it, so I thought I would share. You can follow her on FB or twitter...she post all her new items so you can order them! Okay, I will stop my bitching now......all that being said, I would not take back one second of it! It is all worth what this body of my is creating...doesn't mean a 9 month pregnant lady isn't over it! HA! :) So that's all I got today folks! 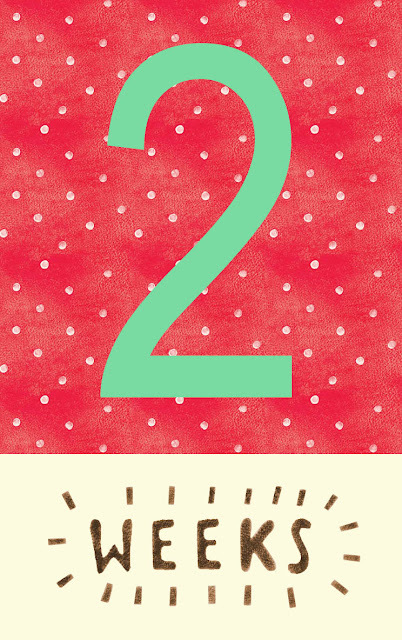 Hopefully I will have some nursery pics for you in the next day or so! 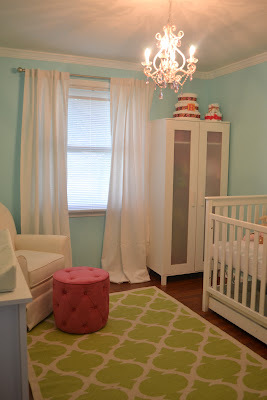 Ohh the nursery is adorable! I agree that chandelier is gorgeous. I haven't had a baby yet, but my sister has had 3, and I remember all too well how swollen she got everywhere with her second pregnancy. Yes flip-flops were her only footwear, and she was exhausted and miserable in the heat of summer. But I agree it's oh so worth it all!! Can't wait to see your beautiful little girl so soon!!! Your nursery is adorable. Nice truck, I would be excited too! haha! And more pics.. yes! You look AMAZING pregnant. Super jealous! Can't wait to see pictures.. and what happens if you go over? Don't kill me.. lol. I know EXACTLY how you feel!! HAHA! OMG Sarah the nursery is beautiful! Guess what?! My rug came early 2 wks ago and I had it before all my bloggies came! I was STOKED! and you're right..it's awesome and we love it. Thanks for the suggestion! The nursery is so cute!!!! Just ordered that book :) Glad you reminded me with this post! I COMPLETELY feel ya on the swelling. I'm a first grade teacher and our last day was Monday. I had my feet up all day yesterday... literally, all day... and today I can almost see my ankle bones for the first time in forever! I'm not sure if you can, but just lay around and watch your salt intake... I think that's what helped me. 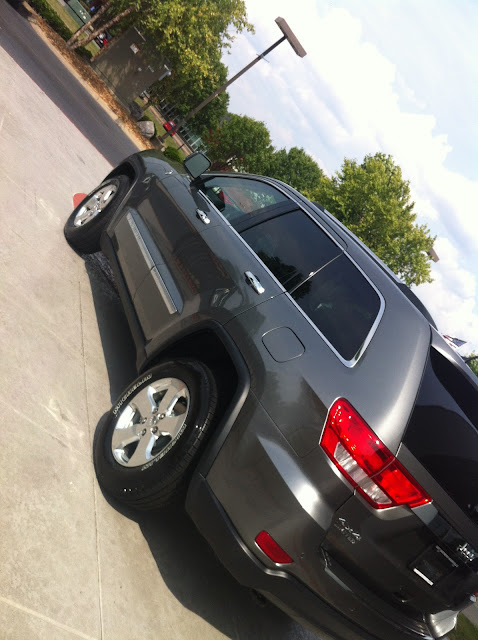 Love your new ride, I would want to drive everywhere too just to drive it:) You are looking great, I hope these last two weeks fly by for you or that she makes an early arrival! Can't wait to see the rest of your nursery pictures!!! Love all your loves! Especially that nursery! And she can grow into it and you won't have to change it so much in a few years! Love your new car! I still love mine after 4 months! Hahah! Ahhhh I am soo in love with her sweet room! So beautiful!!!! I love the jeep too!